Happy Friday! How did you survive through this past week? I was waiting for this Friday from ... Monday. Literally. I am in the phase of organizing my school and blogging life, with the rest of the things I do in a week, like taking English course classes or just taking some time to getting healthier in general. 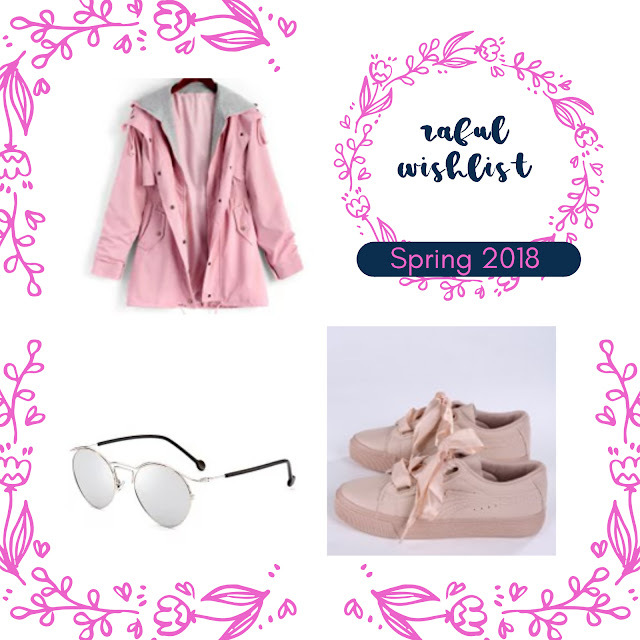 So this post is going to be a little Zaful wishlist because I found some cute pinky stuff on there which I think would be perfect for spring time that's coming really soon. Also, there is Zaful Valentine's Day 2018 Special Promotion going on currently so definitely check it out! I'd love to hear you in the comments down below : are you celebrating Valentine's Day and if you are, are you planning on buying gifts for your loved ones? That was all for this post! Thank you so much for reading this post! Amazing selection, so lovely items dear! Awesome wishlist! I really am a fan of the coat and trainers. I feel like they match perfectly and are super cute. Wow, ove roze patikice su predivne. Bas pravi prolecni izbor!